When your teen is learning to drive, it’s scary for everyone involved. 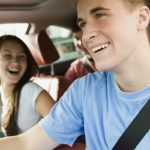 Your teen may be nervous about operating a car, you may be nervous and afraid for them and yourself as they drive, and others on the road may be afraid of your teen’s inexperience. However, with practice your teen will become more comfortable behind the wheel leading to them becoming a better driver. So when is your teen ready to tackle the road without you? How do you know that they are ready when they have their license? Your teen is ready to drive alone when they are comfortable behind the wheel and mature enough to handle it. Your teen should admit to you whether or not they feel comfortable behind the wheel. However, if you ask your teen if they feel mature enough to drive alone, they may say “yes” even though they clearly aren’t prepared. Therefore, you can test their maturity in a few different ways. One way you can see if your child is mature enough is through how well they follow the rules. 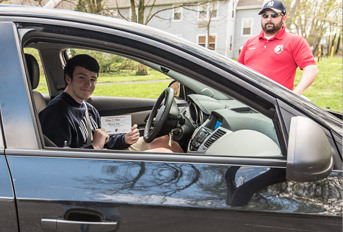 GDL laws provide provisional or probationary licensed drivers with curfews, passenger restrictions and other regulations so you will be able to test your teen’s maturity based on their willingness and ability to comply to these rules. You also can test your child’s maturity based on their likelihood to give into peer pressure. Friends may try to coax your teen into driving them to all different places. Is your teen able to say no? A third way you can test your child’s maturity is by how responsible they are. Does your teen take unnecessary risks for fun? Do they ignore the consequences of their actions? If your teen isn’t ready to be held accountable or to make good judgments, your teen may need a little more supervised driving time. That being said, don’t think your teen needs to be a perfect driver in order to drive alone. Due to inexperience, your teen is bound to make a few mistakes. How they handle these mistakes and what they take away from them is what matters.